There”™s nothing like getting into bed at night after a long day, but have you ever stopped to think what makes your mattress so comfortable? Most beds come with spring mattresses which are something we are all used to seeing. However, some mattresses contain more springs than others, largely down to design, manufacturer and overall cost. 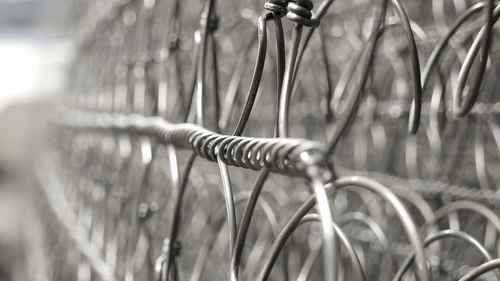 The common denominator in springs used for furniture is that they are manufactured using a metal called spring steel, which is a material commonly used in the chemical etching process. Spring steel is the name given to a range of steels that are generally low-alloy, with medium or high carbon. These materials are high in strength, and as such, they are able to return to their original shape – making for the perfect metal to make springs from. Industries that use spring steel include the automotive and industrial sectors, mostly for suspension purposes. It is these same principles why this material is also used to form the springs that go inside a mattress and even sofas and chairs. Due to the flexibility that comes with etching, Qualitetch is able to produce components in a wide range of shapes with stress and burr-free high-quality results. This process also allows for thousands of components to be manufactured in the space of just a few hours, reaching the tightest of deadlines without compromising on quality or accuracy. Thanks to photo chemical etching, you are able to enjoy a full eight hours of sleep every night. With metal rods that are manufactured to the highest quality, all that is left is for each individual manufacturer to coil the rods to form the spring itself. CNC coiling machinery is used to form the springs after the etching process has been completed, ready to be used in a mattress, as part of a chair or to be used in any of the other industries that use springs big and small for comfort and safety purposes. If you would like more information on how your business can incorporate chemical etching into your manufacturing process, especially if you are unsure of where the benefit may be in your industry, then please call our team on 01354 658 787 today.